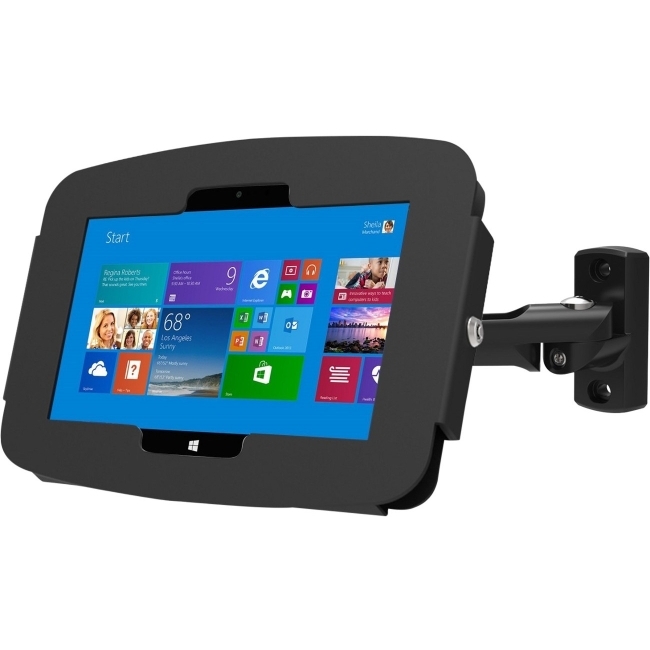 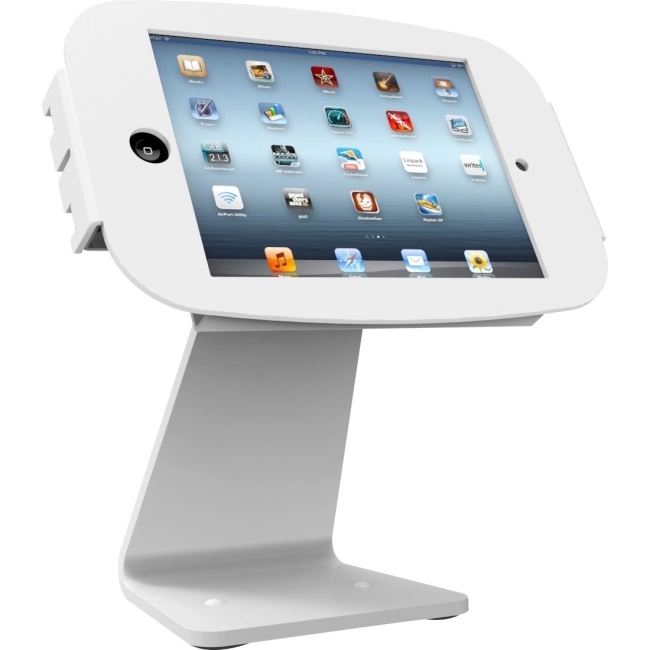 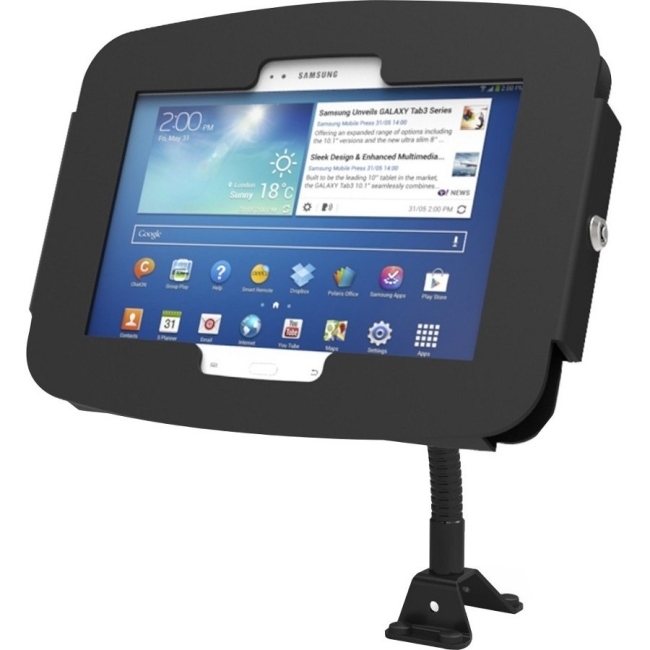 The Space Galaxy Tab 3 Enclosure Swing secure mount is the ideal Galaxy Tab 3 security solution for all display settings including education, health-care, corporate, retail and point of sale environments. 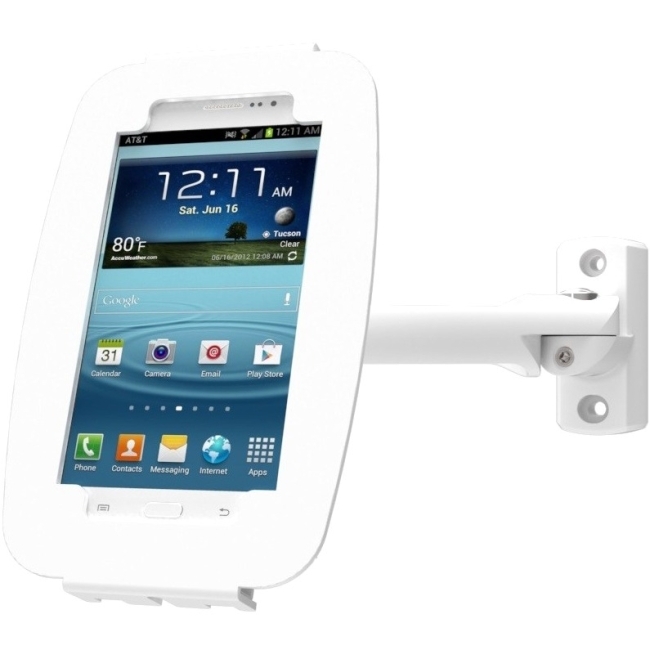 The Space Enclosure for Galaxy Tab 3 Kiosk has open corners for proper ventilation and access to the audio and charging ports for continuous charging. 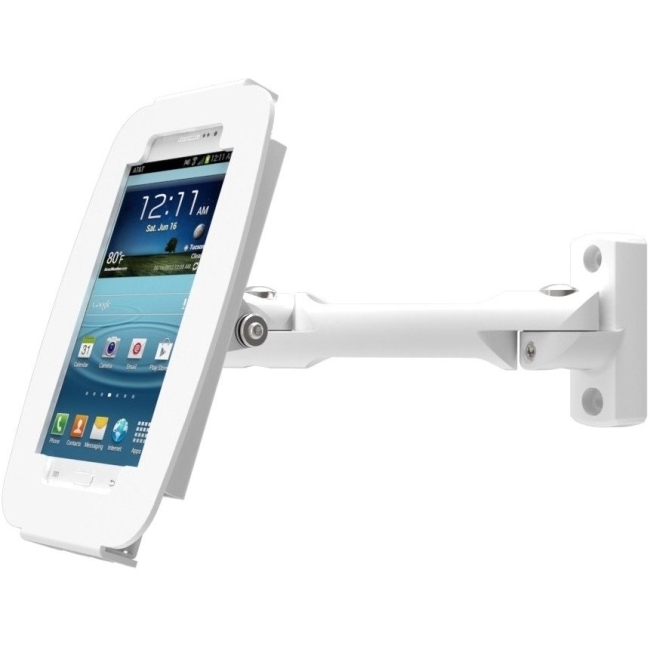 These features allow for a fully functional device even when locked in the Galaxy Tab 3 Enclosure. 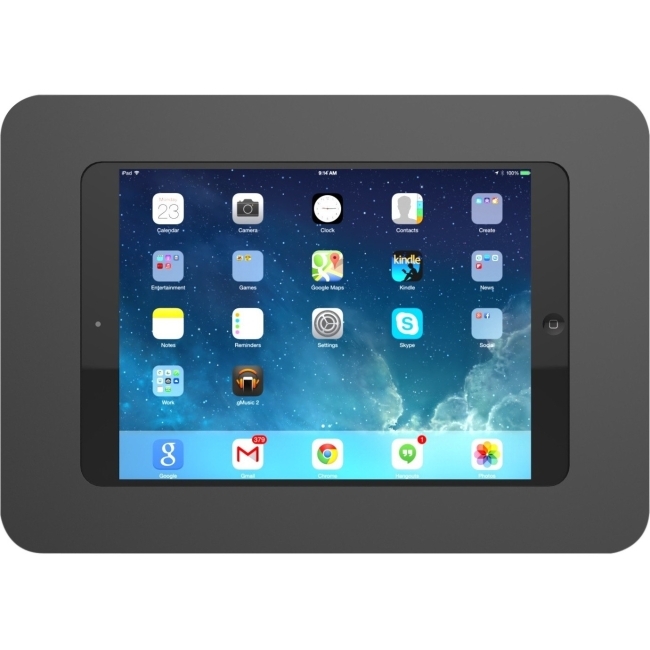 The keyed lock makes it easy to access when tablet maintenance is required. 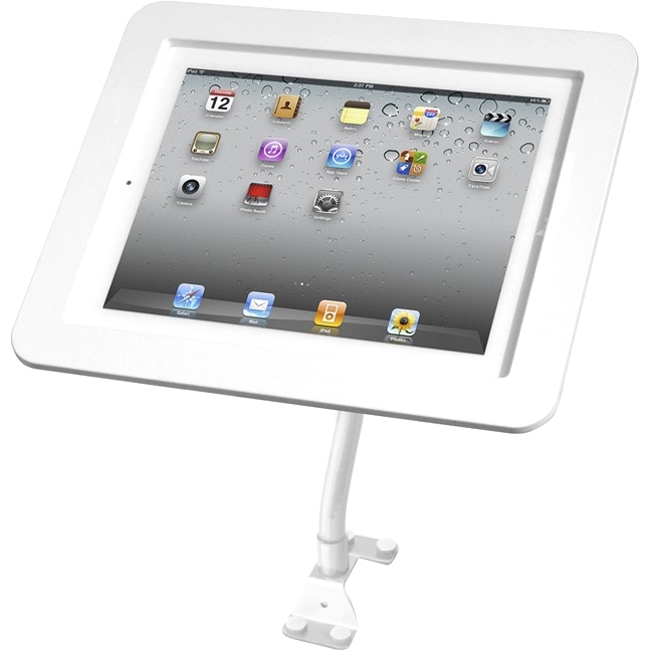 The Space Galaxy Tab 3 Enclosure Swing mount is the perfect solution for corners, bar table tops, under cabinets, or simply where some extra versatility or space is needed. 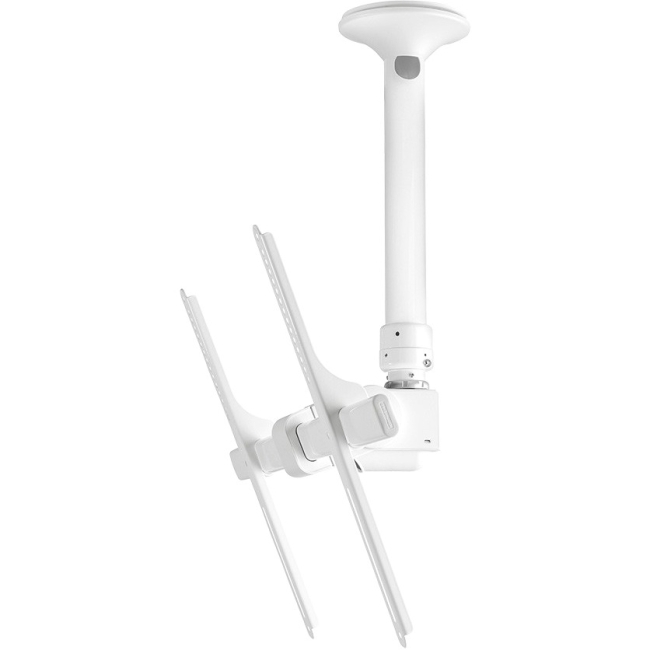 The tension screws allow for precise fluid or locked movement and the 90 degree rotation makes it the perfect choice for both landscape and portrait orientation modes. 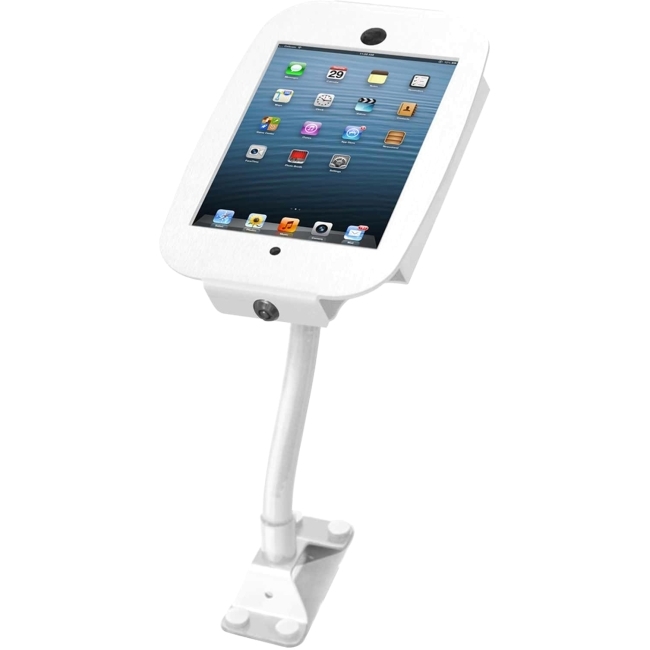 The swing arm pulls out up to 10.75" off the secured surface and is available in both black enclosure and black arm or silver enclosure and white arm.